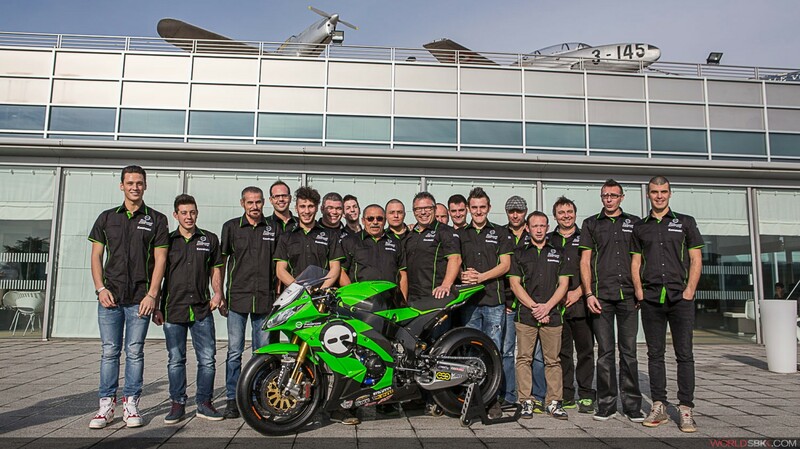 2014 Team Pedercini Racing Kawasaki was officially presented today at Nicolis Museum in Villafranca, Verona, Italy. The Italian squad – that is embarking in its 17th consecutive WSBK season - will field two EVO-spec ZX-10R for Alessandro Andreozzi and returning Luca Scassa. Andreozzi steps up to World Superbike after an encouraging year in FIM Superstock 1000 Cup, in which he built speed upon speed as the season progressed. Scassa already contested two editions of the series, the first one in 2009 with Team Pedercini Racing Kawasaki. On the STK1000 side, four riders have been chosen to challenge for the title: Hungarian Balazs Nemeth, Frenchman Romain Lanusse and Spaniard Javier Alviz will join confirmed Lorenzo Savadori. Alessandro Andreozzi: "I'm really happy to take on this new challenge in the EVO class of the Superbike World Championship. I'm training a lot to face this new task, I know it'll be tough as I'm going to challenge some of the best riders around, but I'm charged up and willing to achieve strong results. I would like to thank Team Pedercini Racing for the opportunity." Luca Scassa: "It was a totally unexpected call, one of the best I got in recent years. It's such a amazing opportunity to be back with the team of Donato, Lucio and Ivan Pedercini, especially in the new EVO class. I still cannot believe it, I never stopped training, hoping to receive this type of call. I don't want to disappoint anyone, including myself. I would like to thank everyone who made this possible, now it's time to get my head down and work as hard as I can, I'm going to start from scratch as I'm aware of the mistakes I've made in the past."